The Raspberry Pi is a interesting little computer to use in embedded projects, especially when you need something more powerfull than a common microcontroller. 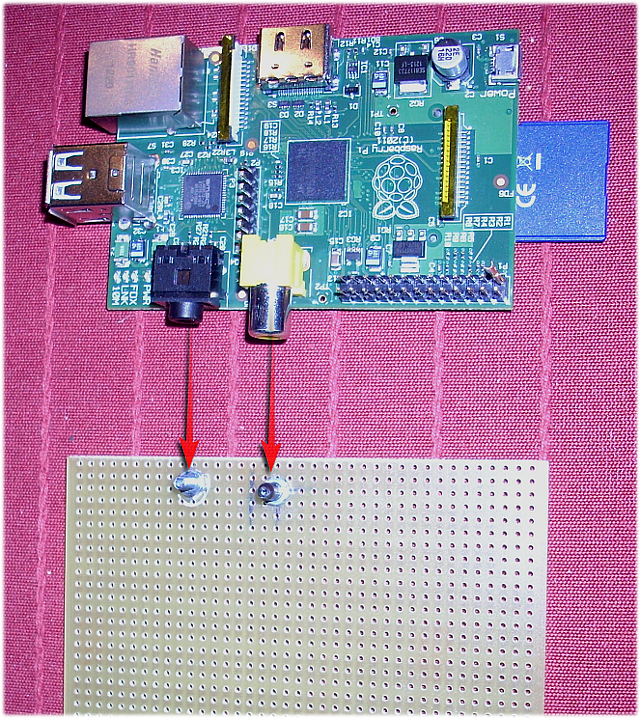 A disavantage of the Raspberry Pi is that it doesn’t have mounting holes, so it’s difficult to mount it on a PCB. 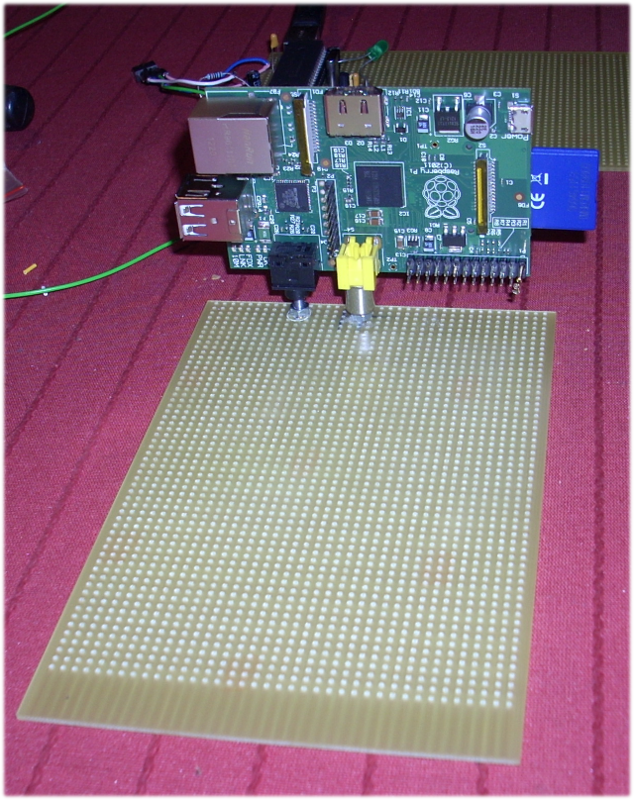 Because in embedded projects the yellow RCA connector is not usefull, I have used that connector to mount the Raspberry Pi vertical on a experiment board. 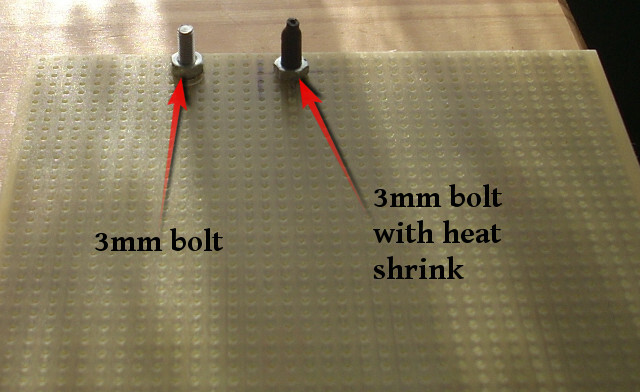 This is done by using a 3mm bolt with heat shrink, which holds the Raspberry Pi steady in place, but also allows to remove it easily when needed. To avoid rotating the Raspberry Pi, I have used a second 3mm bolt at the place of the audio connector.